With that said, this page will show you a quick and easy way to resolve the Williams Video Decoder ROM replacement problem. These PROMs are almost extinct and if you do find them, they will cost you a hefty sum. 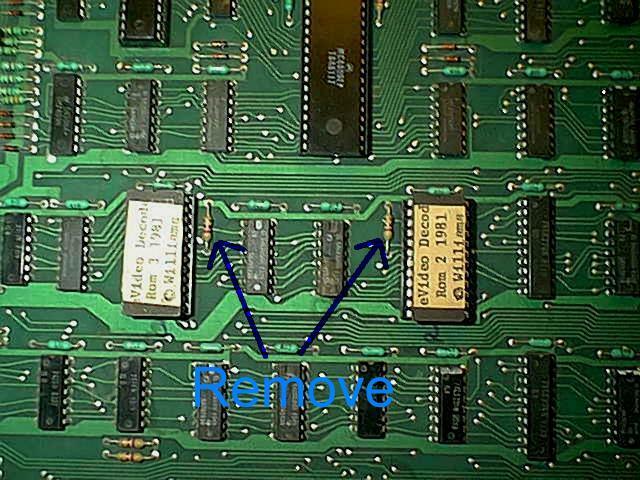 Here is what you do: On any Williams main board with the two decoders perform the following procedure to use a 2732 EROM chip instead of the 7641 BPROM: You don't have to replace both Decoder chips. You could replace only one decoder chip if you like and leave the other one in place. 1) Remove the two 4.7K ohm resister that are connected to pin 18/19 and +5VDC of each Decoder chip. 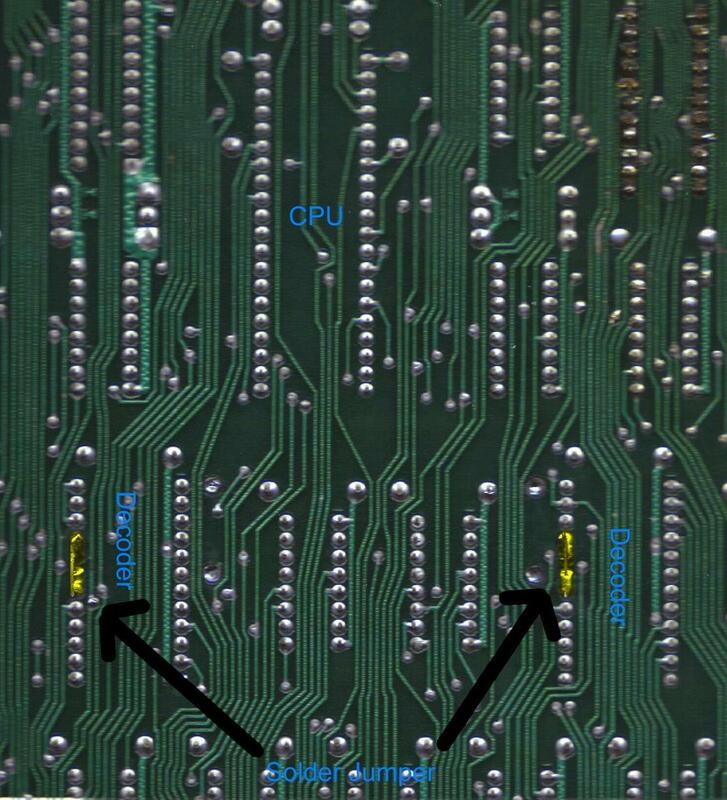 If you're only replacing one Decoder chip, only remove the resister next to the Decoder chip you are replacing. 2) Solder a jumper from pin 19 to 20 of each Decoder chip socket. This will ground pins 18-21. Again if you're only replacing one Decoder chip jumper only the one you're replacing. 3) Burn the appropriate program image using a 2732 EROM chip. You need to fill the EROM with multiple copies of the same program to Hex address FFF. That's it. If you need any help with the above procedure or have any questions please email me at rhombus2@hotmail.com. I do repairs on most Williams boards, just ask for more details. Thanks to all that made this replacement procedure possible. Good Info on Williams boards. Using a 74s474 as a decoder chip. I couldn't get this to work but maybe some use to someone.